Morning! How was your weekend? Well the wedding festivities are off to a running start so I thought I would give you a peek into what we have been up to! The invitations have been sent out and we are in love with our wedding motif it is both casual and elegant which fits perfectly with the theme of the wedding! 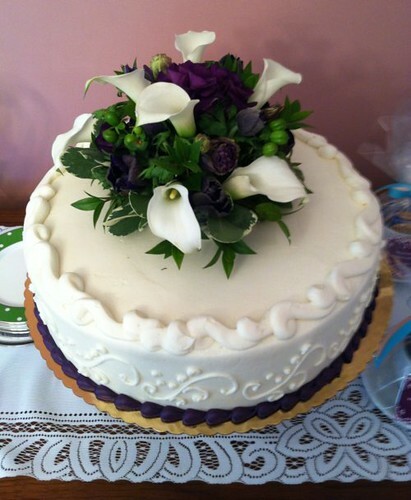 The girls selected the most beautiful cake and oh so yummy! 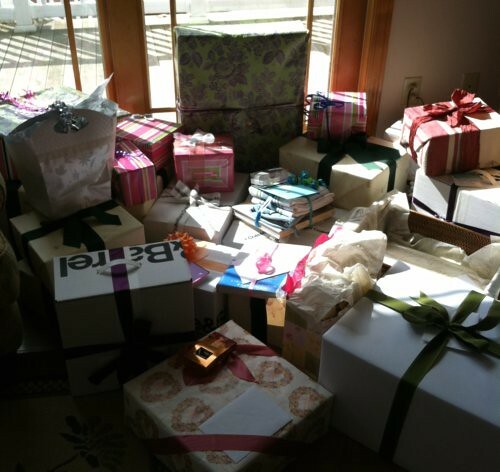 My mother's sunroom was overflowing with gifts! We were completely spoiled by our friends and family and our house is now happily bursting at the seams! This is just a corner of the dining room table full of gifts! 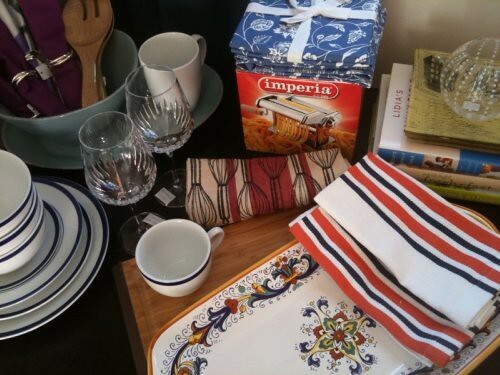 Of course I was so excited to add to my collection of platters and linens, they make me very happy! The countdown has officially moved from weeks to days with less than 50 and my hope is to have a relaxing few weeks before the big day arrives!! At your own shower what was your favorite gift? 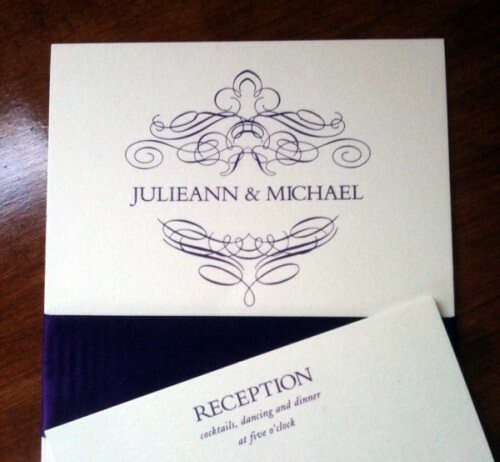 Your invitations are absolutely beautiful!! Thank you ladies! 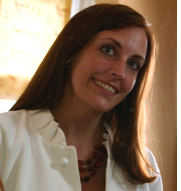 Oh Tracey you will have to share what that is like, Happy 10 years! My husband and I will be celebrating our 16 year anniversary next month! Thinking back to my bridal shower, I hate to single out one gift over the others, but I still use my Denby pottery and dishes almost every day. So if I had to choose, those dishes would be my favorite present.